Join Weddington UMC this Easter as celebrate the resurrection of our Lord and Savior Jesus Christ! 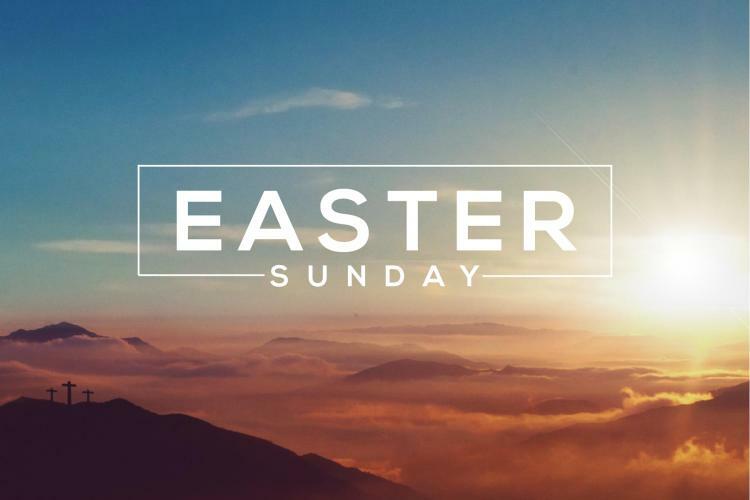 In addition to our regular worship times on Easter morning, we will celebrate with a Sunrise Service at 7:00 a.m. at the cemetery entrance on Providence Road. We will also have Easter Sunday services at our Bonds Grove and Monroe campuses at regular Sunday worship times. We invite you to bring flowers on Easter Sunday to adorn the crosses sponsored by the members of the Lucy Price Circle. Nursery care will be available for all services on the Weddington campus on Easter Sunday except for the Sunrise service. Childcare will also be available at the Bonds Grove and Monroe campuses on Easter Sunday. -8:00 a.m. in the Sanctuary with The Chancel Choir, Brass Ensemble, and Percussion *Note time change. At Weddington UMC, our mission is to fulfill our call to be the physical presence of Jesus Christ by worshiping God with passion, intentionally growing in faith, proclaiming the gospel with grace, and humbly serving in love. We offer six distinctive worship services at three different campuses, both modern and traditional, and a variety of educational and service opportunities for all ages.